Gone are the days of RIL’s classic gold logo – instead, the company is pushing greens, reds, and blues. And, we are furious. Reliance Jio has unveiled its logo and the first few hoardings for its 4G smart devices under the brand name LYF as a part of the Amravati Marathon that it is sponsoring in Vijayawada. 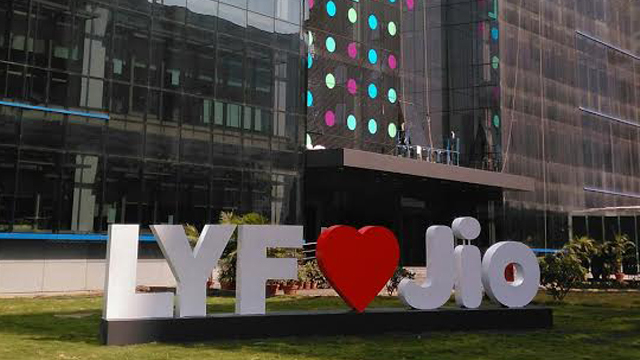 This apart, the ‘Jio’ logo has been displayed in full-swing at the sprawling 500-acre Reliance Corporate Park in Navi Mumbai. The logo when flipped around spells “OIL”! The Jio logo seems to represent the past and future of Reliance. Oil is what had propelled Reliance to become India’s biggest company in the 20th century. When flipped over into the 21st, it’s probably going to be Jio. There’s a miniscule chance of this being a coincidence, but it doesn’t seem likely. 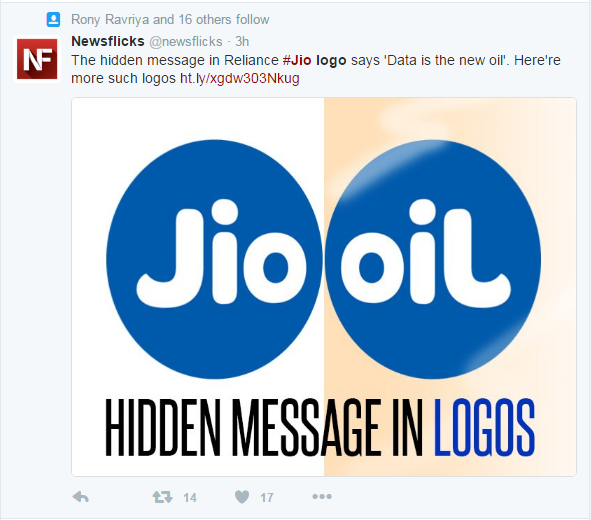 But the internet loves speculations and Jio’s logo is no exception – Twitterati have flooded the platform, debating the “OIL” coincidence. The cheap data tariffs announced by RIL Chairman Mukesh Ambani undoubtedly is good news for India’s telecom subscribers. The only fallout – Jio and the handsets under the brand name LYF as brand names actually do not translate into anything specific. It’s no different and which is just why we hate it – red, round and common, much like its other telecom counterparts. The “Jio” and “Oil” controversy apart, we really feel RIL could have done better at differentiating this from the clutter of competitors. Besides, the campaign positioning, “JioFi @ Rs. 1, 999/-” is slapstick and fails to drive home the value proposition. The author heads the thought and creative leadership at BrandBerry Marcom, a branding agency in Delhi.